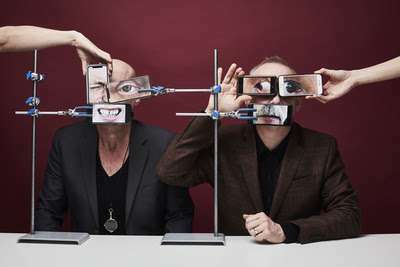 Today, reunited brothers Paul and Phil Hartnoll release their long-awaited LP ‘Monsters Exist’ (via ACP/Believe). “Monsters Exist” is about the darkness and dampness inhibiting each of us, burgeoning in our daily routines and expressed through dissonant political inhibitions. But where there might be monsters, alter-egos, uncontrollable figures, there’s also resilience and hope that our world is bursting, yes, but in a new direction. Conflicted, torn by reflections on our society and political disparities, the album ultimately reaches ataraxis.